We all know that updates are there to fix bugs and bring new features to its users which in the most part is a good thing. 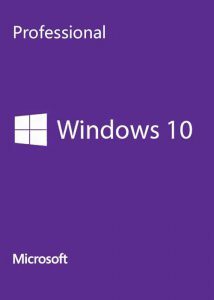 Lately though we have found since the latest Anniversary update for Windows 10 was released there has been quite a few issues that our customers have come across after they have restarted their computer and the update has run. Here are a few issues we have found when repairing computers after the last Windows 10 update. Fix: In this case if it is just a printer, Sound or App driver you can re download and install the driver from the original program website, fixing the issue. Contact Us if you need any assistance at all with this. Windows not booting properly: Doesnt boot or can’t get past the login screen. It could also boot but you may keep getting the spinning wheel and cannot open any programs or apps. Fix: You can check out Recovery Options and use the option to “restore from a system restore point” before the update. This should repair the issue I would suggest a back up before the update runs again. The restore from a system restore point is usually the best option all round for any glitches after an update as it restores to the last point before the update. – Select Repair ( it will ask for quick repair or online repair) –select online repair–!! – Wait for this to repair ETA 20 mins or more. – After repair, reboot PC, Open Outlook. – Lastly test that you can open Outlook and send receiver okay. Loosing your Apps in the task bar at the bottom of the screen/Personal settings disappearing after update has been installed. 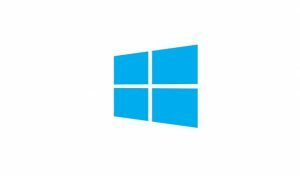 Fix – This is unfortunately a glitch that Microsoft is aware of and is in the process of fixing the issue. What you can do is right click on your favourite Apps in All Programs and pin to Task Bar again so that they are back where they belong. Any other personal settings, head then to Personalise and add the settings again that you had previously set to your liking. Once completed run a backup for safety purposes. These are only just a few of the issues at this time and please don’t hesitate to Contact US for any help or let us know of any issues you have come across so we can keep you updated. « Comment: The WannaCry attack should be a wake-up call for consumers, businesses and governments — 9to5Mac	» Website Security, where do you stand?